Authorities at Super Bowl XLIII will be looking for more than just drunken fans. They’ll be watching spectators’ body language, facial expressions and demeanor to find suspicious people. For the first time Sunday, federal behavior-detection officers will team with local police to use a controversial technique on people heading to a major event, the Transportation Security Administration (TSA) says. The officers usually work in airports. Behavior observation aims to find people in crowds acting unusually. A flagged person gets a casual interview from an officer who determines if he or she should be formally questioned or arrested. At the Tampa Police request, the TSA is sending dozens of its behavior officers to Tampa to watch spectators entering 75,000-seat Raymond James Stadium on Sunday, said Tampa Police spokeswoman Laura McElroy. The TSA on Jan. 13 gave a four-hour training overview on behavior detection to 100 Tampa-area police, TSA operations chief Lee Kair said. “They’ll be a dedicated set of eyes looking for suspicious behavior,” McElroy said of TSA officers. The American Civil Liberties Union says that the technique is unproven and that its use at a stadium sets an alarming precedent for police inquiries. 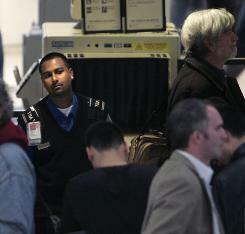 Behavior observation is used daily by 2,600 specially trained TSA officers at more than 160 airports. Officers look for obvious signs of nervousness or other behavioral flags, such as sweating, avoiding eye contact or talking evasively. Police want to guard against an attacker such as the man who drove to last year’s Super Bowl site near Phoenix with an automatic rifle intending to open fire, McElroy said. The man, Kurt William Havelock, apparently changed his mind in the stadium parking lot and turned himself in. He was sentenced in October to a year in prison for making threats. The TSA officers, who get seven days of training, will take the lead in spotting suspicious spectators, while their police partners will do the questioning, McElroy said. Police around the USA are asking for the TSA training, Kair said. While hosting this year’s Super Bowl, the City of Tampa has decided to use the Microsoft Surface, among other advanced technologies, for security operations. At the Super Bowl this year, which starts February 1, even Microsoft will be playing a part. For well over a year now, authorities have been working with the E-SPONDER technology partnership to plan the security details for Super Bowl XLIII. E-SPONDER will connect onsite and remote authorities, allowing them to remotely track all activities in real time with mapping as well as 3-D displays, 2-way radio integration, and immediate communication. So where does Microsoft enter into the equation? The video below should answer your question. The company has collaborated with the City of Tampa and a host of technology partners to build a command and control platform powered by SharePoint, E-SPONDER, and the Microsoft Surface. 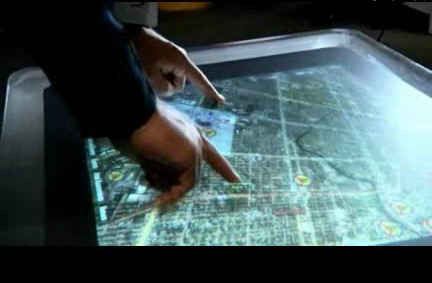 The tabletop computer will display a Microsoft Virtual Earth map of the area with real-time information about events, incidents, and tasks for the Tampa Incident Command staff. 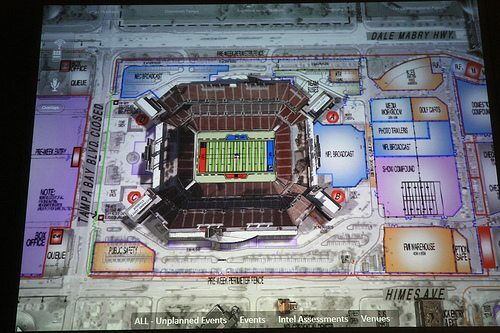 In this way, the security staff will be able to more easily manage the nearly a quarter of a million people in Tampa for Super Bowl-related activities. They’ll be able to zoom in and display a 3D image of the city, including detailed views of buildings and streets and real-time resource tracking. The Microsoft Surface has so far been adopted by select companies, like AT&T, Sheraton, and BMW. Microsoft is reportedly weighing its options for developing a version for consumers, but that device is still a long way off. Older Article: Iraqis construct shoe sculpture to honor Bush shoe-throwing incident.